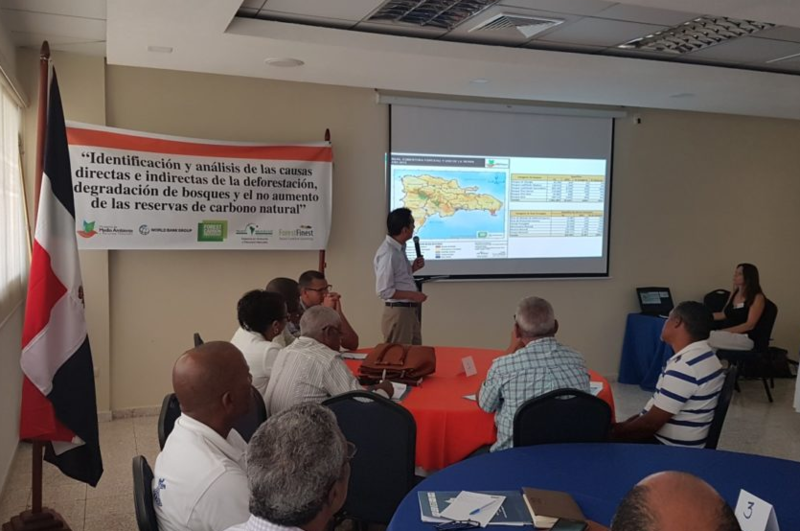 Together with our consortium partner Sud-Austral, ForestFinest Consulting (FFC) advises the Dominican Republic Ministry of Environment to develop strategies to reduce deforestation and forest degradation, and to increase carbon stocks from land use activities such as forestry, agriculture and livestock. For this, FFC analyzes the interplay of direct and indirect causes for forest degradation by focusing on socio-economic and bio-geographical factors as well as regulatory mechanisms and institutional weak points that may have adverse effects on forest loss and landscape degradation. Thereby, the ministry is supported in the adaptation of public policies, laws and programs that provide incentives for public and private stakeholders to engage in mitigation activities that reduce deforestation and forest degradation. Furthermore, FFC helps identifying appropriate forests sites for the implementation of REDD+ projects that fit respective criteria in terms of forest management and CO2 mitigation.